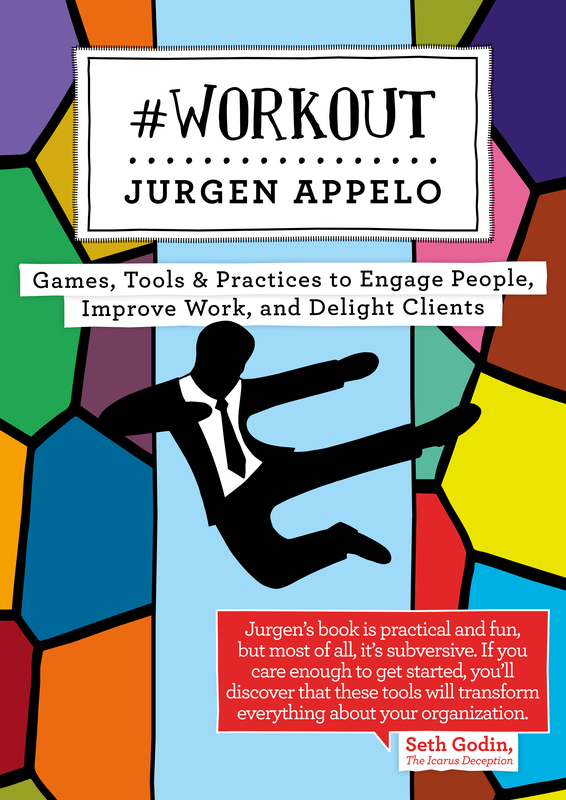 On Sunday, I uploaded the Kindle Edition of #Workout to Amazon. On Monday, I notified all my friends on my exclusive mailing list. On Tuesday, the book already had 26 great reviews and was listed as Best Selling in the Management category, which makes it one of the Hot New Releases. How can we decide on salaries and bonuses? How can we define job titles and career paths? In modern organizations, people are expected to be “servant leaders” and “systems thinkers”, but nobody explains exactly how to do this on a Monday morning. “Empowering workers” and “delighting customers” is crucial, but it’s not concrete. Managers, and everyone else, need to know “how” because most organizational problems are management problems. When you implement the games, tools, and practices in this book, you can move the organization toward better management with fewer managers.